A male common wall lizard (Podarcis muralis) in its breeding colours basking on a tree trunk. 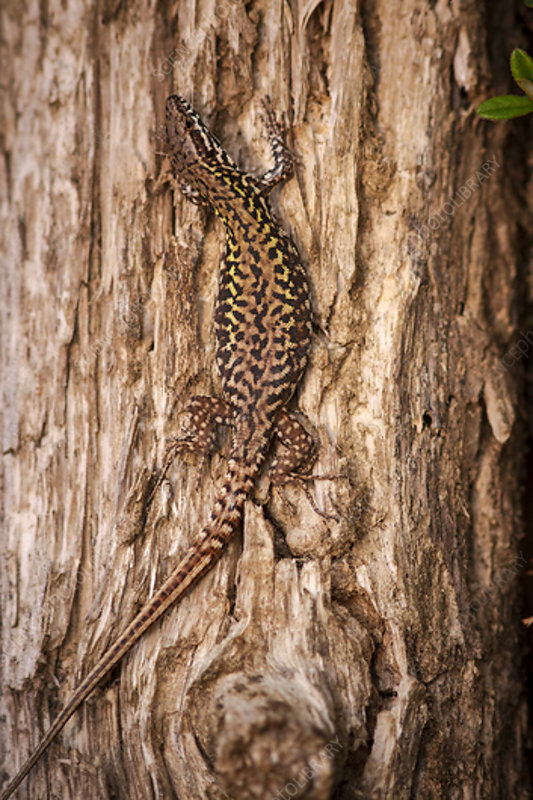 This lizard is found across mainland Europe often alongside other lacertid species. It reaches lengths of around 20 centimetres, and feeds primarily on insects. Photographed in Tuscany, Italy in April.